Do you remember these wee things? 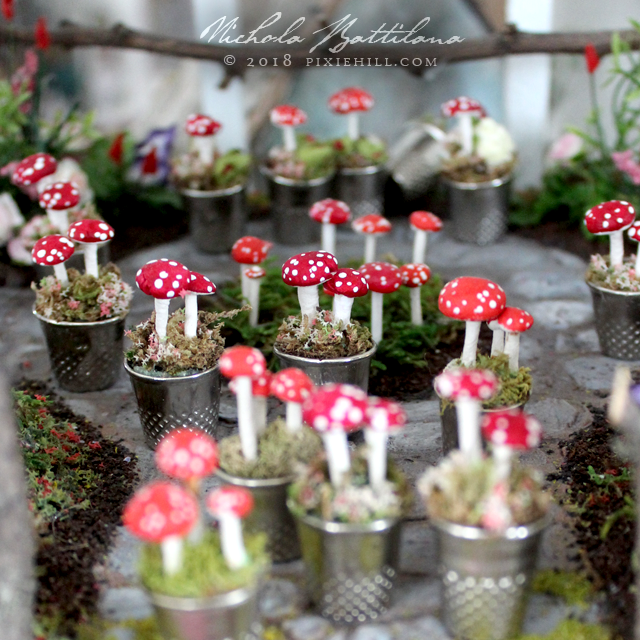 I used to make loads of them, and then moved on to other delightful little things. But I had a custom order for a whole slew of them this past summer and made a few extras. 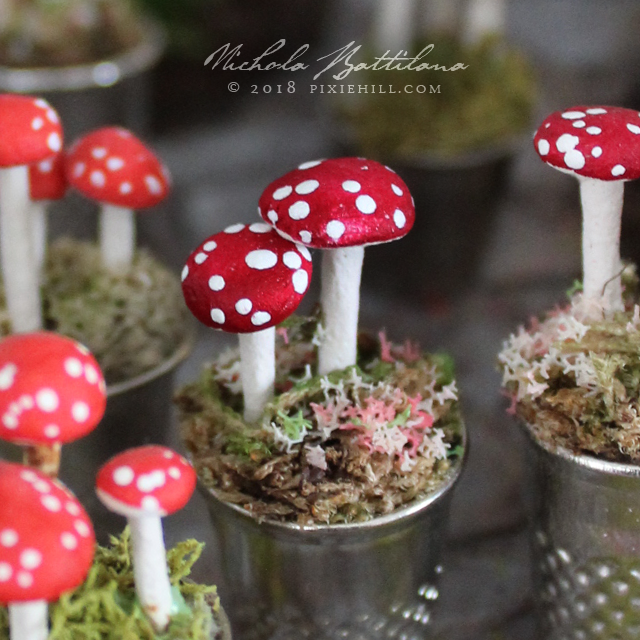 So if you're looking for a tiny treat, a few handmade tiny toadstools sitting in a thimble, I've got a dozen listed in my etsy shop. I've priced them nicely for a few days, but the bills must be paid so the price will jump back up at the end of the week. Grab them while you can! We have a pipe full of poop that we're dealing with at the moment. Darn those poop goblins! They used to visit us too. 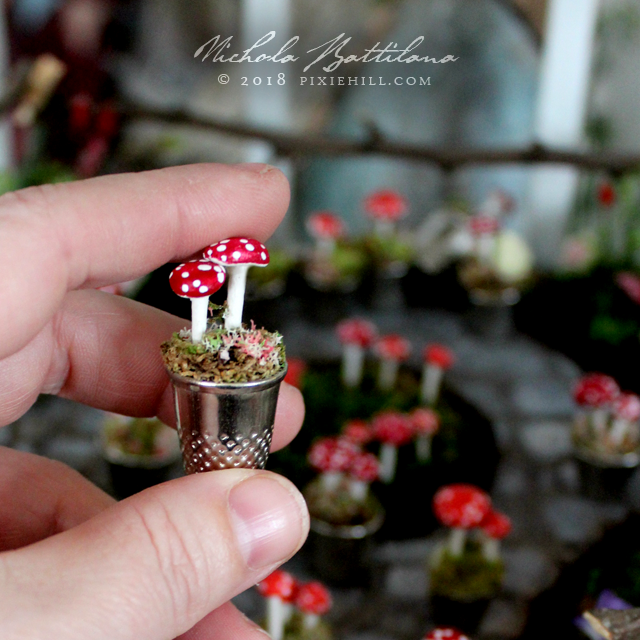 I love the idea of a thimble garden - so teeny and charming. 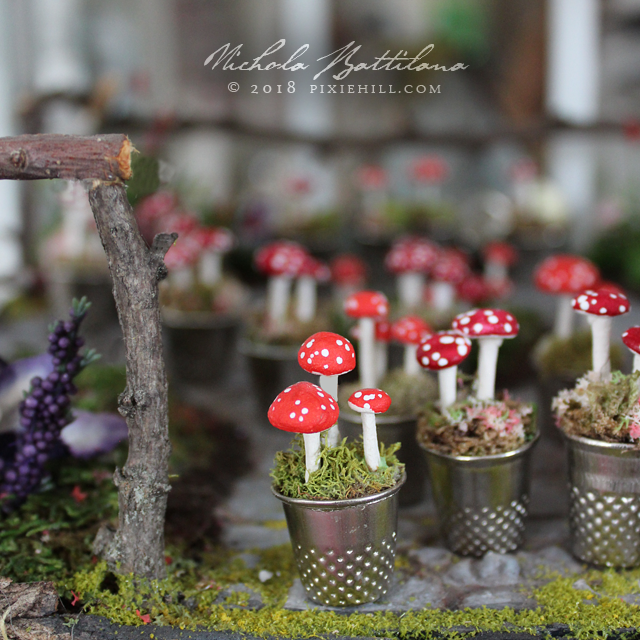 What is it about tiny things?! These are adorable!